Gregory Brophy – was the deputy MD of Independent Newspapers and later MD of Independent Digital the, pre-listing, major shareholders of iTouch (Pty) Ltd. and online publishers of IOL, where he gained premier corporate league and international experience. 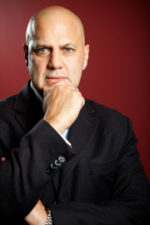 Greg once participated on six boards during a time of political, corporate and social transition and transformation. Greg is an entrepreneur who is currently an equity partner of iTouch Messaging Services, BEE Mobile, Sinakho Mobile & Online and Prime Sports Management. As a founding member of WASPA SA, and WASPA Nigeria, he believes that a well constructed and managed self-monitoring industry body is key to growth, sustainability and respectability. Greg has served WASPA as Treasurer and provided sound financial management in the past. As Chairperson he will continue to contribute good corporate governance, responsible management and pro-active leadership.